This striking visual shows how out of step Minnesota will be if the proposed legislation passes. The proposed tax would make it about twice as expensive to produce beer in Minnesota than any other neighboring state. 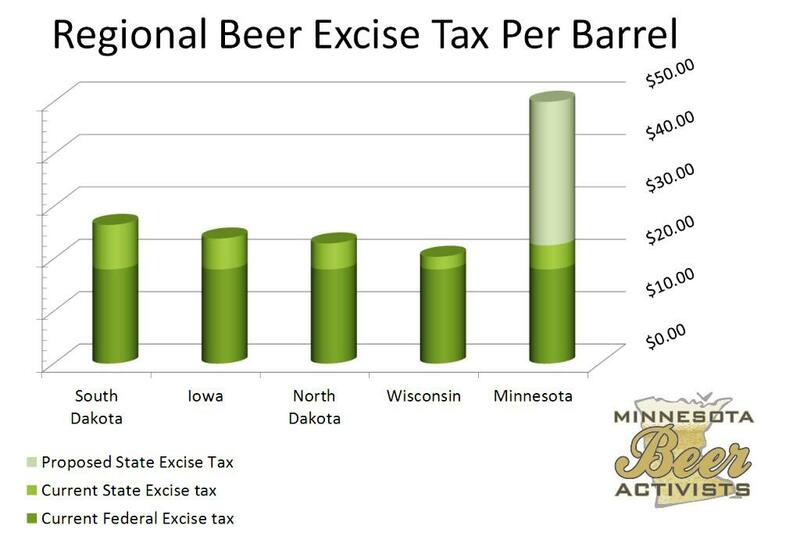 Current Federal, State, and potential state excise tax on a barrel of beer in the region.